This set's nomenclature indicates that it was intended for a slightly different purpose from the "RS" sets that are more commonly seen. The "AS" stands for Automatic Station, so named because some 'automatic' features were built-in, notably burst transmission. The set uses the CO-3 coder and CA-3 cartridge, which are also seen with several other sets, including the RS-49, RS-511, and the military AN/GRA-71 coder/burst set. It is noted that the CO/B-8 coder (which is much more complex than the CO-3, and includes an alphabetic wheel) is not mentioned with the AS-3 set. 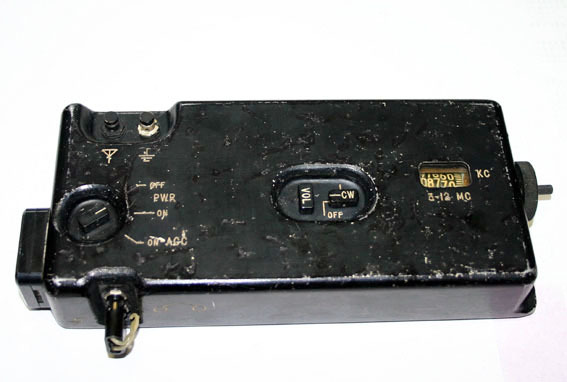 Probably the CO/B-8 was not available yet, since the AS-3 is believed to be only the second system to use high-speed keying. There are other AS-series sets, in particular the AS-4 which uses a modulation mode other than simple on-off keying. Development of the set started in 1956, and a “final report” was available in July 1959. The AS-3 was a replacement for RS-1 and RS-6 sets in the field, beginning in 1962 [ref 102]. A CIA memo states that a total of 150 RR/D-11 and RR/E-11 receivers were procured for delivery in May of 1959. The AS-3 uses early solid-state technology, and operates directly from 12 VDC. The transmitter includes built-in components that are generally equivalent to the KE-8 keyer (the ability to 'play' CA-3 tapes, and key the transmitter at 300 WPM). The set includes an AP-3 power supply, which accepts various AC input voltages, and produces 12 VDC. A BA-3 battery is another optional power source. 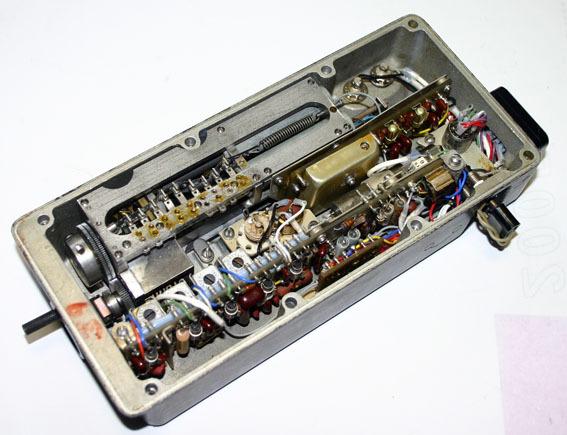 The AS-3 was possibly made by Hughes Electronics. Although the receiver can be operated independently, the AS-3 set is centered around the AT-3 transmitter. The AT-3 has connection points for the RR/D-11 receiver, and also a TP-3 printer. The printer receives 12V power via the AT-3 unit, and is only enabled in the “Receive” mode. Audio from the receiver is passed to the TP-3 printer. It is perhaps for printing received signals (high-speed bursts) in a manner that could be directly read without a tape recorder or other specialized equipment. The printer would perhaps be able to detect an audio tone and use the presence/absence of the tone to produce a printed output. 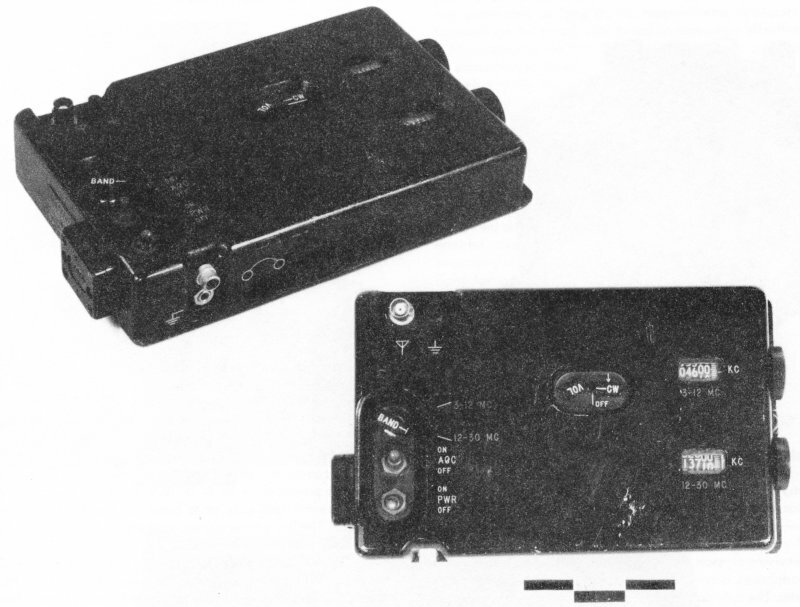 The RR/D-11 receiver, part of the AS-3 set. 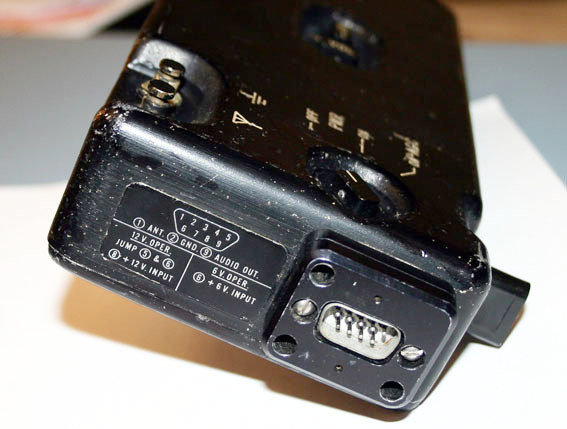 The BNC antenna connection and RCA phono jack audio output are not original. This image is from the book "CIA Special Weapons & Equipment: Spy Devices of the Cold War" by H. Keith Melton, Sterling Publishing Co., NY, 1993, ISBN 0-8069-8732-4. Image used with permission. 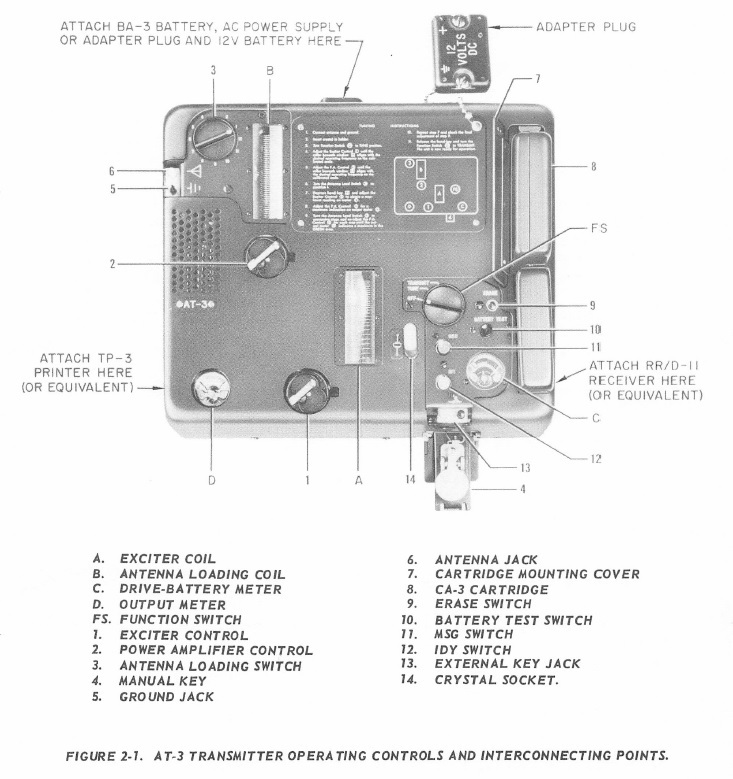 A view of the AT-3 transmitter from the operator's manual. Another view of the AT-3 from the manual. Note the connection points for the TP-3 printer and RR/D-11 receiver. 8-3/4" X 5-1/4" X 1-5/8"
2-3/4" X 9-1/2" X 10-3/8"
Below are 3 views of the RR/E-11 receiver. It is the same as the RR/D-11, except that the higher band and its associated components are not included, and thus the case is about an inch narrower. Note the connector label, which indicates operation from either 12 VDC or 6 VDC. The connector is a DB-9 type, as seen on the RS-49 set. The interior appears to include two early Philco RF transistors, near the right end of the center board.